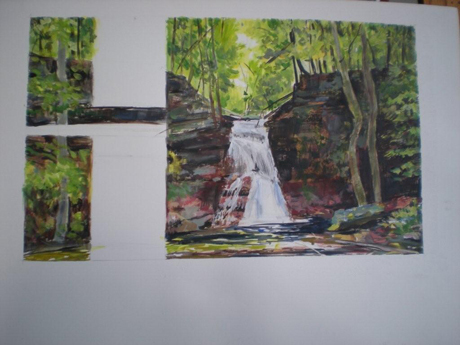 This time it’s going to be in the Geisinger Wilkes-Barre - a healing garden for patients families off of the new Intensive Care Unit - the idea is to use the image a doctor/photographer’s waterfall from Rickett’s Glen - I’m to start in two weeks - the wall is about 23? x 38? this shows a study of what’s to be done - the white parts are where there are windows.